Recently, during my private jewish walking tour in Toledo, a customer of mine asked me information about some important rabbis who lived in Toledo, Spain. This article aims to share the information about only three of them in order to maintain their valuable memory. Rabbi Yosef Karo was born in Toledo, Spain in the year 1488. In the year 1492, when he was only 4 years old he was forced to escape from Spain with his family and many other thousands of Jews. These people had lived for many hundreds of years leaving behind very strong jewish influence especially in Toledo. After wandering from one city to another, Rabbi Yosef finally settled in Istanbul, Turkey. Already as a young man, he gained a reputation as a talented Torah scholar. He began by writing an explanation on the Rambam's Mishnah Torah. Later on, he wandered from city to city never finding proper peace of mind, in 1353 he began his travel to Israel. Besides being a authority of halachah, he was also well versed in the secrets of Cabbalah. Rabbi Yosef Karo put much importance on the study of Mishnah which was constantly on his lips. While he wrote many more seforim, none of them received the fame of the Shulchan Aruch. Rabbi Yosef Karo passed away on the 13th day of Nissan in the year 1575 at the age of 87 and lies buried in the Tzfas cemetery amongst the many other great tzadikim. Every step of our Jewish Toledo Tour along the cobblestone pavements of the city will impact you the same way it impacted the infancy of this great sage of the history. The Rosh was born in west of Germany and passed away in Toledo, Spain. His father Yechiel was a Talmudist, and one of his forfathers was Rabbi Eliezer ben Nathan (the RaABaN). Asher had eight sons, the most prominent of whom were Judah and Jacob, author of the Arba'ah Turim, a code of Jewish law. His primary teacher was the Tosafist Rabbi Meir of Rothenburg, then in Worms. In addition to his studies, ROSH worked in economic issues, and according to his own statement, was independently wealthy. Rabbenu Asher’s best known work is his abstract of Talmudic law. This work empahsises the final, practical halacha, not talking a lot about the the intermediate discussion and briefly formulating the final decision. In Halevi's day, Jews were caught in the ceaseless conflicts between Christians and Muslims for control of the Iberian Peninsula. Halevi became convinced that the safest and most appropriate place for Jews to live was in the Land of Israel where they could lead a full and meaningful Jewish life. Because of family attachments, he himself had to remain in Spain most of his life. His poems praising the virtues of the Land of Israel remain a beautiful legacy, and in particular "Ode to Zion" is singed in many shuls on Tisha B'Av, to mourn the destructions of the First and Second Bet Hamikdash, on each summer. The poem speaks both of the poet's anguish over Yerushalayim's destruction and his hope for its resurrected future. The popular Israeli song "Yerushalayim shel Zahav" (Jerusalem of Gold), reminds us Halevi's poem by using the refrain "Halo le'chol shir-a-yich ani kinor" (I am a harp for your songs). 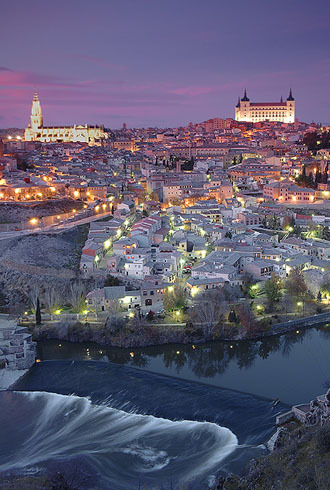 For more information about our tailored Jewish Toledo Tours, please get in touch with us! Thank you for reading. www.jewishtoledotour.com wishes you a nice day!